…there is a bit of confusion in our society as to what humility is, therefore we have a difficult time communicating and working together. 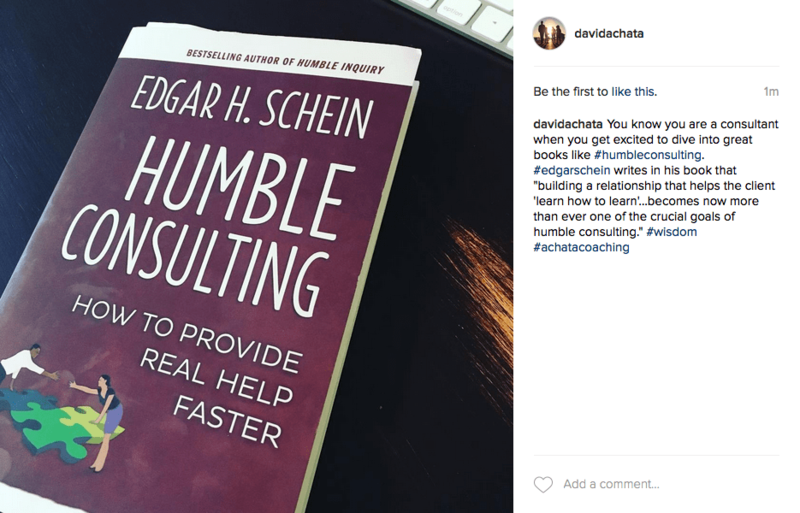 Schein defines three kinds of humility. Basic Humility – This kind isn’t a choice, but a condition based on someone’s social position (ie. class). Optional Humility – This kind is based on respecting someone because they have accomplished more than us. Still, we can choose to be around them or not. Here-and-now Humility – This kind is based on how I feel when I am dependent on you. Social class or achievement doesn’t apply with here-and-now humility because without mutual respect and dependence, we won’t be able to get our task done. This kind represents the kind of humility needed with Humble Inquiry. Whether you are an executive leader, manager or even a parent. Don’t you see the wisdom on this? Truly there are no quick fixes. Real relationships and real problems take time to solve. Be content to move at whatever pace necessary to provide real help. Throwing a quick fixes at problems rarely do the job. Enter in, acknowledge the messiness and pick a small part that you’re willing to own and improve. Better to fix a part of the issue and keep working on the rest than to fix nothing at all. Make the space and get it done! If I can help, let me know.